The Ultimate Book of Cities & Mighty, Mighty Construction Site #PlayTestShare! - Frugal Mom Eh! The Ultimate Book of Cities & Mighty, Mighty Construction Site #PlayTestShare! Spring break is around the corner, and soon enough many of you will be facing long days with cabin-fevered children. As nice as it would be get the kids outside, it’s not always possible, especially over spring break. Raincoast Books has some great options to help keep little ones busy this Spring break! 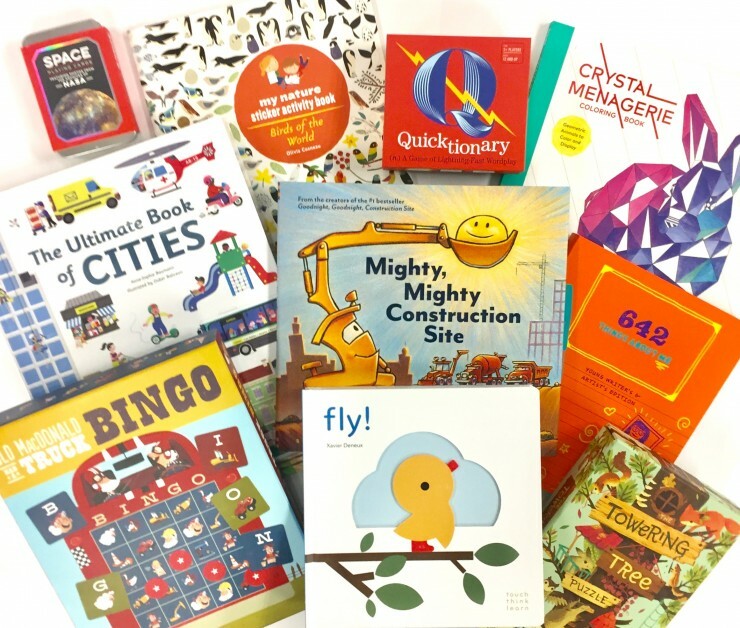 Be sure to scroll down all the way to the bottom for your chance to win one of the featured #PlayTestShare activity books from Raincoast Books! Keira, my 5 year old already has The Ultimate Book of Vehicles and it is one of the books I most often catch her sitting in bed with – flipping through the pages quietly. She was so thrilled when I gave her this book, and it is easily as fabulous at The Ultimate Book of Vehicles. Filled with tabs, flaps and moving parts on each page, it really is an engrossing book for the curious mind. The pages are quite sturdy and as long as your child is careful it should remain in great shape for years to come. I highly recommend this volume for any little one in your life – a great addiiton to The Ultimate Book series! From the team behind the beloved international bestseller comes a companion to Goodnight, Goodnight, Construction Site. All of our favourite trucks are back on the construction site-this time with a focus on team-building, friendship, and working together to make a big task seem small! Down in the big construction site, the crew faces their biggest job yet, and will need the help of new construction friends to get it done. The millions of fans of Goodnight, Goodnight, Construction Site are in for a mighty good time! Ava, my 3 year old daughter has been obsessed with Goodnight, Goodnight Construction Site – it’s definitely her most requested storybook. She was over the moon when I showed her this beautiful hardcover release of Mighty, Mighty Construction Site. We read it right away and again at bedtime, and then again every night last week. We were both happily surprised to find female trucks which is super appealing to me as a mom with two girls who love cars and trucks as much as they love princesses and ponies. Some of the rhymes are a bit awkward but I bet your child won’t notice – mine sure doesn’t! One Canadian Frugal Mom Eh reader will win ONE item of their choice from the Play Test Share selection available from Raincoast books as mentioned above. Giveaway ends on March 13th, 2016 – Canadian residents only, 18+. See Giveaway tools form for entry and T&C. Disclosure: I received the two above mentioned books in order to facilitate this post. All thoughts and opinions are honest and my own. I think my nephew would really enjoy the Old MacDonald Had a Truck Bingo, looks like fun! The child in my life would most enjoy the TouchThinkLearn Fly! My daughter would really love Towering Tree Puzzle! Mighty, Mighty Construction Site would be a huge hit with at least two of my grandsons who are both crazy about these huge machines. I think my granddaughters would enjoy the TouchThinkLearn Fly the most. My 3 young children would love the, “TouchLearnThinkFly” book. I know my 2 grandsons would really enjoy Mighty,Mighty Construction Site. My little grandson would love the Mighty,Mighty Construction Site.He has just discovered the wonders of trucks and what they can do and he is fascinated with them. Oh my gosh! How am I supposed to pick just one? They all look wonderful! That said, I’ll go with the Towering Tree Puzzle which sounds very interesting. Thanks for the giveaway! My grandson would enjoy Mighty, Mighty Construction Site, but they both seem really good!! I think the Crystal Menagerie Coloring Book would be a lot of fun! She would love Mighty Mighty Construction Site. Mighty, Mighty Construction Site for my grandson who already has Good Night Construction Site and loves it! My daughter really enjoyed the Ultimate Book of Vehicles, so I think she would love the Ultimate Book of Cities! 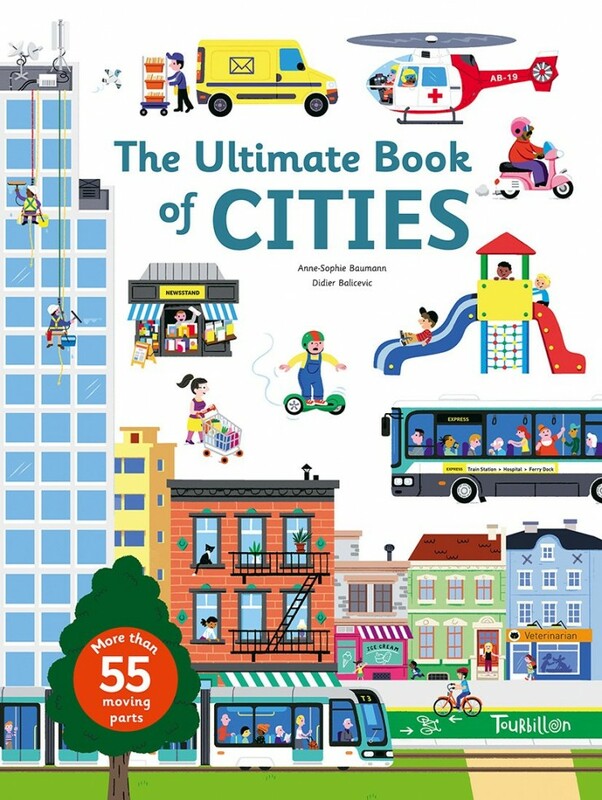 I think my daughter would love the Ultimate Book of Cities! My great nephew would so love the TouchThinkLearn Fly! 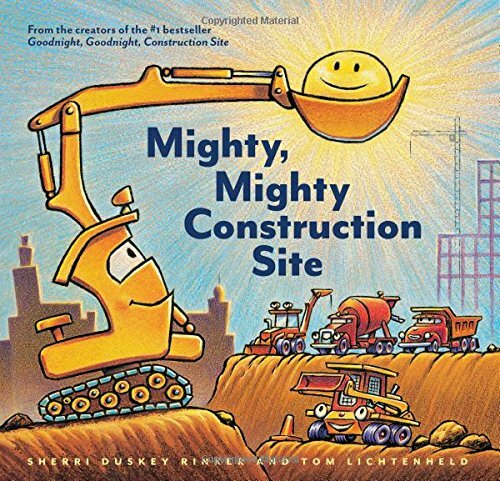 Mighty Might Construction Site would certainly be a hit for my child! Mine would pick The Ultimate Book of Cities. I think the favourite would be Birds of the World Nature Sticker Activity Book. I think my younger grandchildren would enjoy TouchThinkLearn Fly! They like interactive books. I think my great grandson would like “TouchThinkLearnFly!”. I think this book would pique his interest and inspire him to do his best. I think my son would really like the Birds of the World Nature Sticker Activity Book. My youngest daughter would enjoy “TouchThinkLearn Fly!”. Depends on the kid but I think my 9 year old would like the 642 Things About Me: Young Writer’s and Artist’s Edition because he could write about himself. I think my kids would like the Birds of the World Nature Sticker Activity Book. I think my son would love the Ultimate book of cities. My granddaughter would enjoy the Crystal Menagerie Coloring Book.